BMW M5 F10 With Meisterschaft Exhaust System! LOUD REVS! This video features a stunning blue 750 horsepower BMW M5 F10 tuned by Gorilla Performance and equipped with with the incredeble Meisterschaft Race Exhaust System! 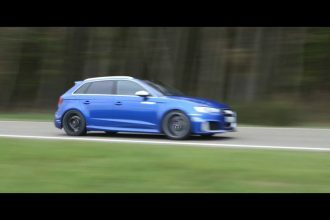 In this video you’ll hear the great revs sounds, including the stunning acceleration at the Dekra Oval on the Lausitzring!